Snapchat is from one of those recent apps that has been loved and liked by so many people and that too so quickly. The reason is that it just came out with a totally new and innovative concept and that honestly attracted the crowd. No matter of what age group you belong to you will find this app really amazing. The features and the type of stuff it provides are completely unique and wonderful. The features like streak, snap score, snap stories, mystery trophy and many more things like this. Snapchat is an app that is something like if you will use it more and frequently you will be able to trace that usage. For example if you are using snapchat more than your friend then your snap score would definitely be higher than her/him. Now you might be wondering what is this snapchat score? Well do not worry we are here to tell you everything. And yes! Today’s topic is going to be how to hide your snapchat score. Snapchat scores are basically measurement of your usage. Through your snap score one can easily be able to know whether you are a snapchater (uses snapchat very much) or you are not. Your high score will represent your liking and frequent using of the app. 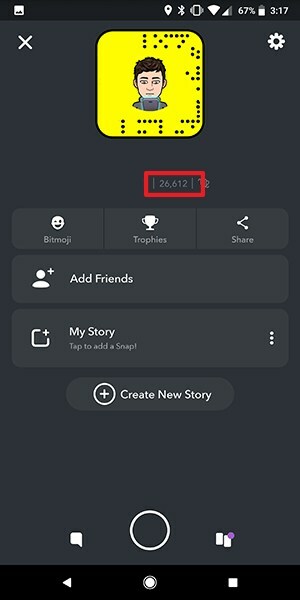 If you use snapchat and you have an account you can see that you have some numerical figures just under your username. And that numerical figure is your snapchat score. Every time you send a snap to your friend or streak partners or post as a story your snapchat score keep on increasing. Means higher the sending ultimately higher and more will be your snap score. Haha! Well that is a kind of trick from the snapchat to keep you engage with its app. But we can bet you will also find it interesting and would become an active snapchat user or snapchater. So now the problem is that maybe some of you are okay with sharing or with the visibility of your snapchat score to public but some of you are not okay with the same. And do not want to share your score with anyone. This problem can be easily seen in the young generation where the popularity is somewhere measured with the high snapchat score. And thus, the people having low snapchat score wants to hide it from the public or friends. So, with not much delay let’s take our article to its main objective where we will be covering all the crucial information and will provide you with that. We are going to tell you everything you need to do if you want to hide your snapchat score. So, for knowing that just keep reading this post and you will get all answers of your questions. Now what are you waiting for? Scroll down and have a look! How Can you hide your Snapchat Score? To be honest the reality is that snapchat haven’t provided us with this specific feature which will help in hiding the snapchat score from the friends within the app. 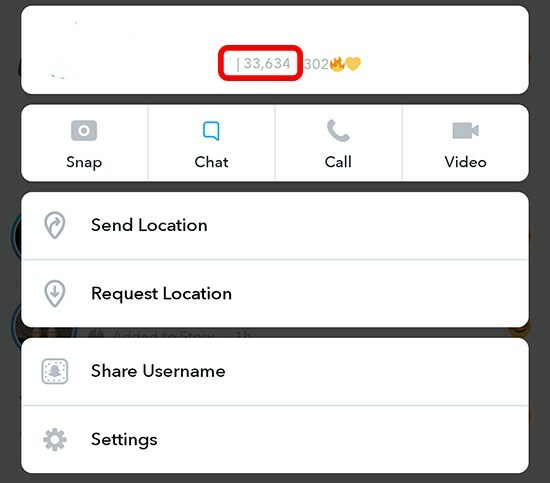 This means if you and your friend are added in each other’s snapchat you both can easily see the snapchat score of each other. But if someone is not added in your snapchat then she/he will not be able to see your snap score. So, ultimately if you want to hide your snapchat score form someone you have to either remove that person from your snapchat or you will have to block that person. This will surely help you to hide your score and at the same time you can hide your other personal stuff too. Still you have one more option in which you can set your privacy setting in such a way that only your known or your friends to whom you want to show your snap score will be able to see and no other random person can see that. Well we are hoping that in future snapchat might introduce a feature like this as it is so in demand and important for some in terms of privacy. This was all about how to hide your snapchat score. Hope, we have made you clear with everything. You can give us a feedback whether you liked the stuff. And for connecting with us you can leave a comment below in the comment box.